Summary: This walk is popular all year round. 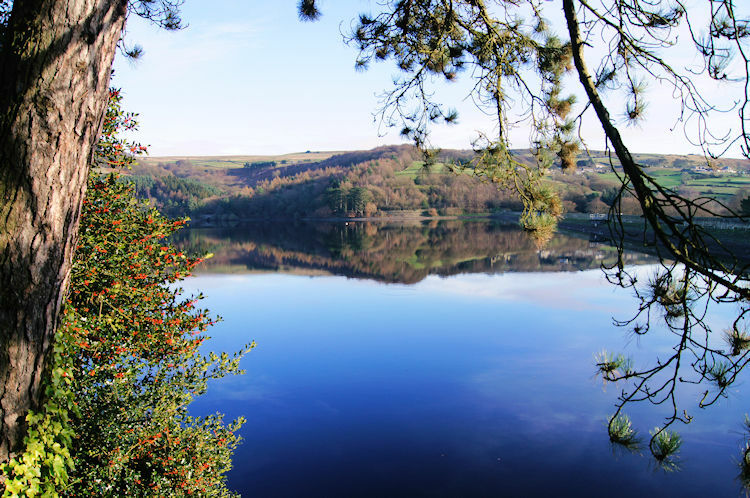 The people of Sheffield have been beguiled by the beauty of the twin villages of Low Bradfield and High Bradfield for centuries and this walk visits both picturesque villages on a lovely circular route which also leads to Agden Reservoir and to the low peat moorland hills of the Black Peak. Also of interest, especially to historians is a visit to the site of a 12th century Motte and Bailey castle. 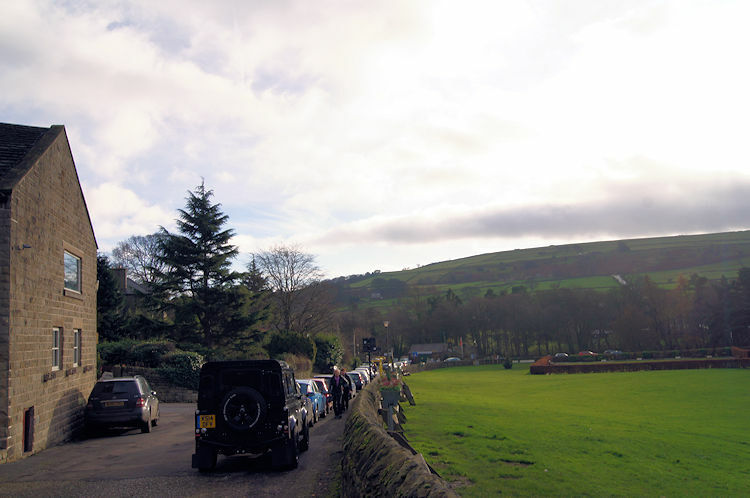 I arrived in Low Bradfield just as others were too, a line of cars assembling neatly in order on the roadside by the village Cricket field. After putting on my boots and checking the rucksack for gear and provisions I walked a few paces to the village bridge from where I watched a family being besieged by Ducks and Geese near Agden Dike. All were happy which made me cheerful too. 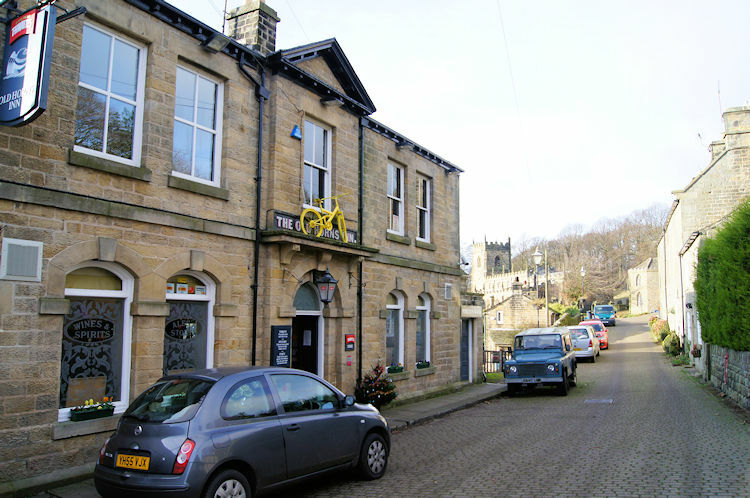 I maintained my smile as I walked from Kirk Bridge and out of the village of Low Bradfield to Windy Bank. 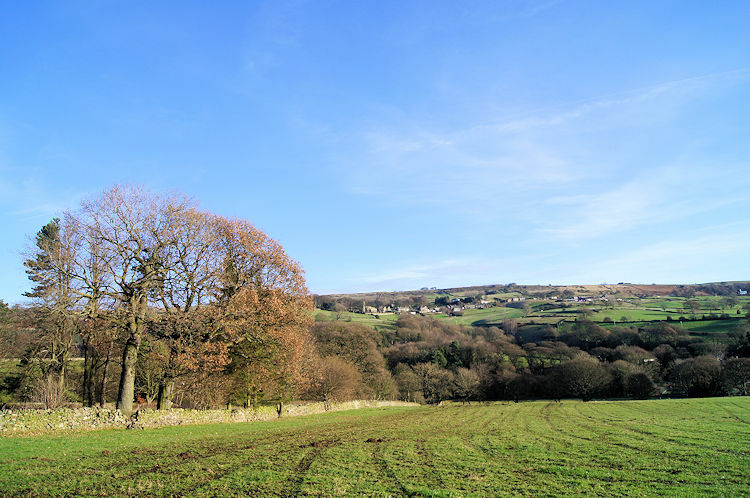 The sun was shining in the low winter sky as I looked across fields to High Bradfield where I would be later. I continued on the Windy Bank road to reach the reservoir house at the west end of Agden Dam. 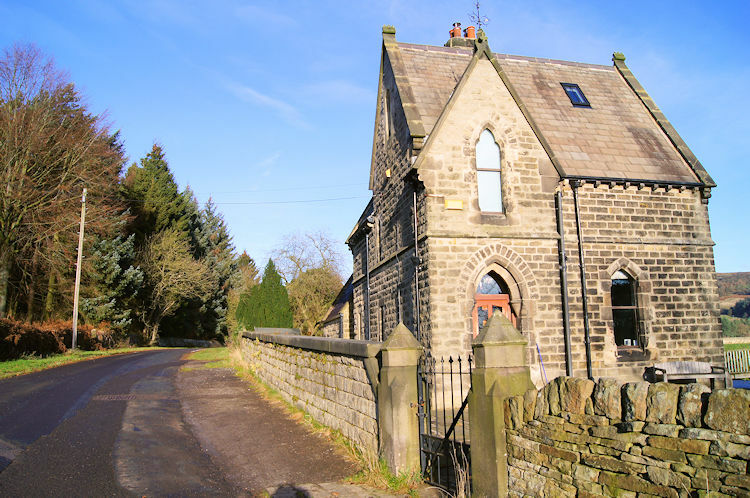 I passed the fine Victorian lodge originally provided for a water company reservoir keeper to maintain good management of the water and reservoir environment. I wondered if this house still was in the tenancy of a water company employee, many have been sold off since privatisation. Whoever lived in the house now had a stunning view to enjoy. Soon after passing the lodge I followed a path through a gate down from the road to the reservoir side. The view across the reservoir was mouth-watering. For the next kilometer I enjoyed walking on the permissive path provided by the water company for the pleasure of local people. As I walked on the leaf filled path I passed quite a few people enjoying the setting as much as I. There were a couple of ladies first, both walking leisurely while talking. Then about 100 metres further on a man running for fitness sped by me. Another couple of hundred metres later still a Labrador approached with friendly smile and wagging tail. The dogs elderly owner trailed on a little behind his companion. 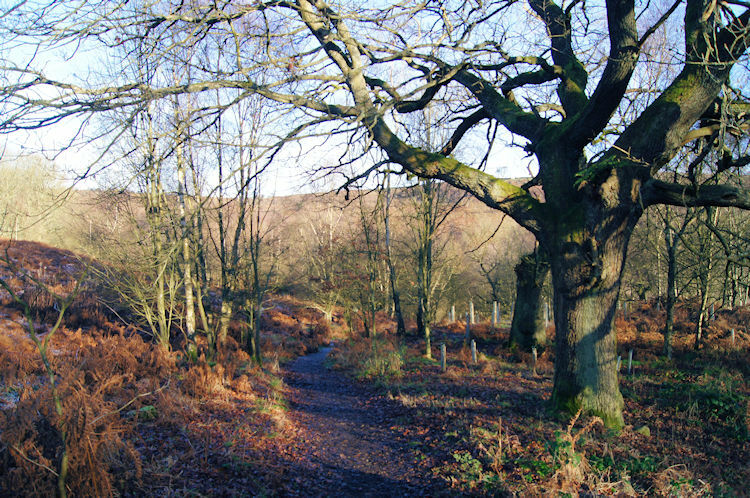 We spoke of how we were lucky to be enjoying walking this path on such a lovely winter's day. As we continued rambling on with our conversation the dog's tail continued to wag. 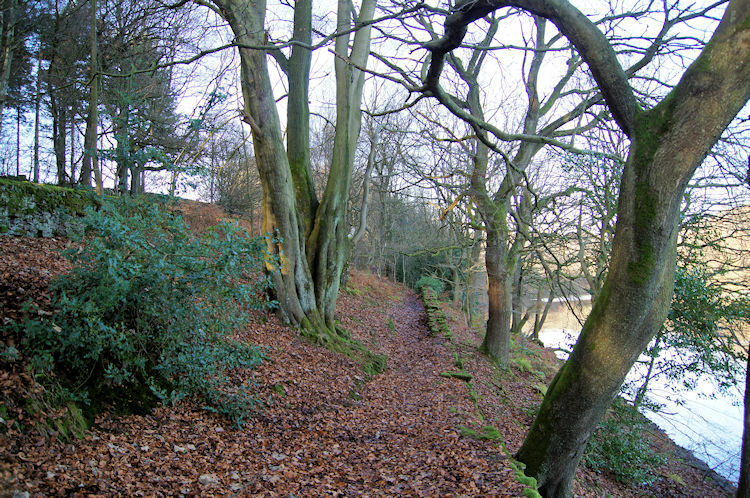 After my chat with the delightful gentleman I continued on the path beside the reservoir edge. 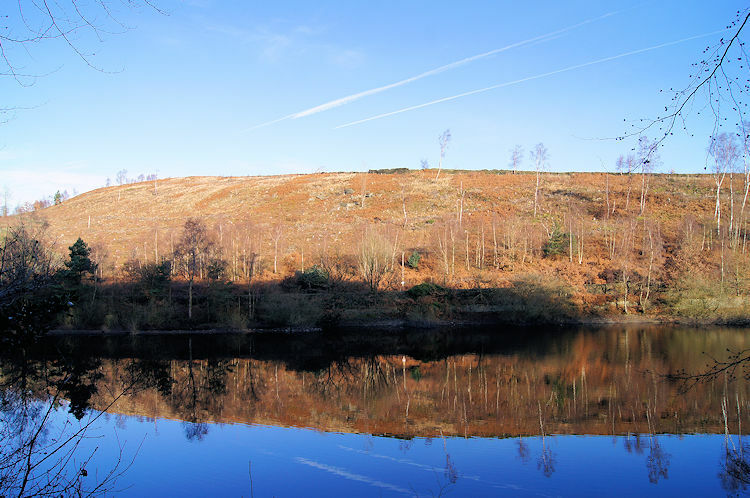 Near the head of the reservoir I looked across the water to Rocher Edge. It was another striking viewpoint. There is something special about low winter sun which makes some scenes even the more beautiful and this point seemed to be one of them. Rocher Edge shimmered in sunlight. 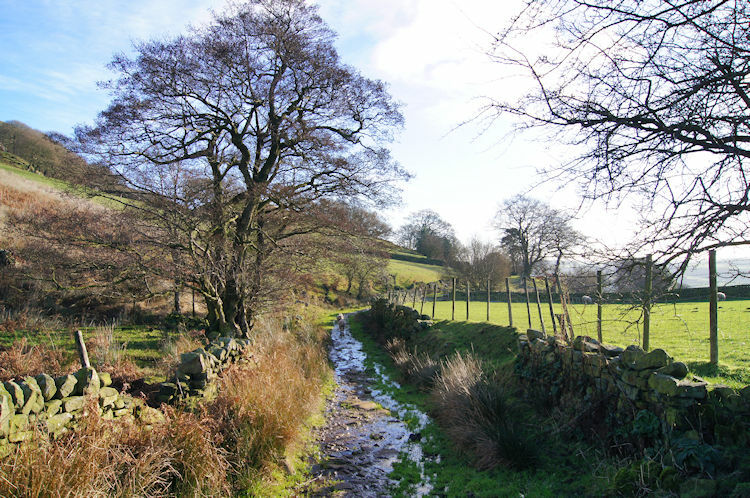 At the point where the reservoir tapered up to Agden Dike, its principle provider of water, (Emlin Dike, Sick Brook and Rocher End Brook being the others) I was forced to climb a path from the waterside up to a bridleway halfway up Windy Bank. This would take me around the head of the reservoir to Agden Side. As soon as I had made the bridleway more fitness runners passed me by, some by themselves and others in teams of two. More people were about too, these like me taking it all in at a leisurely pace and enjoying it all more sedately. 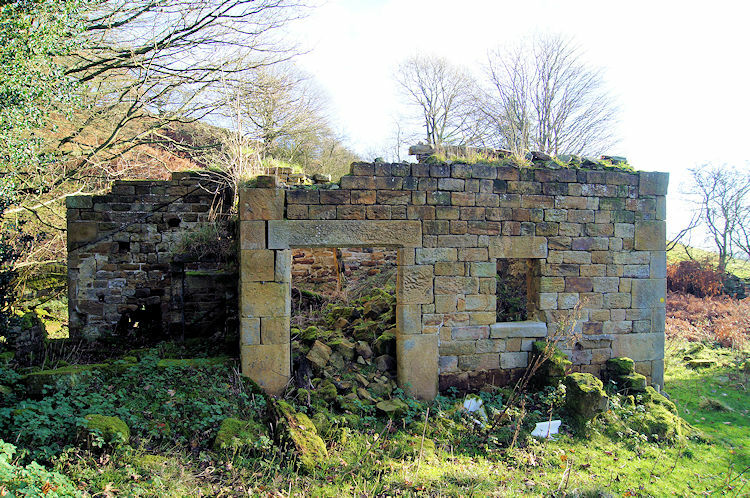 It was patently clear to me I had come across a popular place for the people of Sheffield to enjoy the outdoors. The bridleway led me to Agden Wood and then to the crossing of Agden Dike. 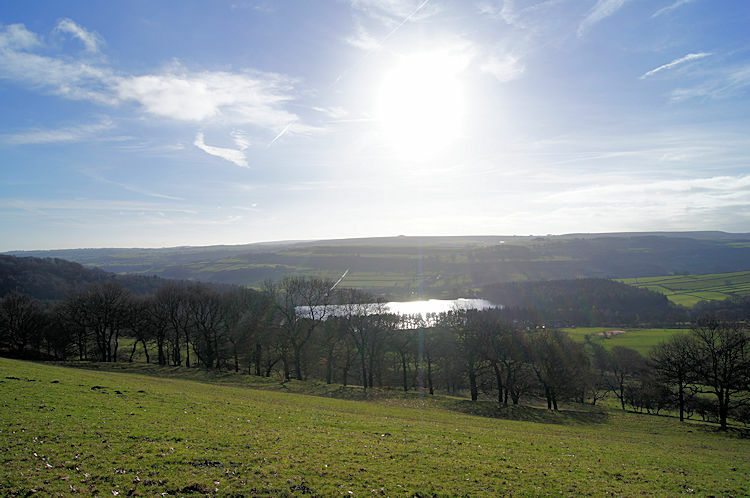 I had walked past more people while skirting around the head of Agden Reservoir. Clearly this is not a walk for those who are seeking complete solitude but for me the meetings were not a problem. Everyone I spoke to on the circuit of the reservoir was polite, all being lovely encounters. After leaving the path skirting around the perimeter of the reservoir I did the hard work. The climb of Agden Side was not too long but it was steep. I was puffed when I got to the top having climbed almost 100 metres in a short space of time. Hands on knees catching my breath the reward was a super view north-west up the head of Agden Valley and due west to the Peak District outlier hill of Emlin on the flank of Bradfield Moor. Autumnal golds dominated the scene in the valley below but I could imagine the lush greens of a few months earlier too. 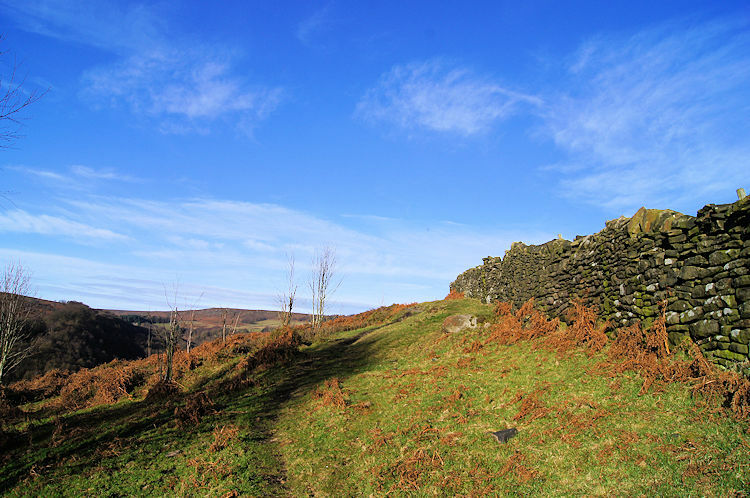 After my ascent I walked along the elevated path above Agden Side towards Frost House. On the path ahead of me I noticed a juvenile Highland Cattle standing still. As I neared the animal looked at me but it did not budge. It just looked at me as if to say "Go around, I have no intention of moving aside". 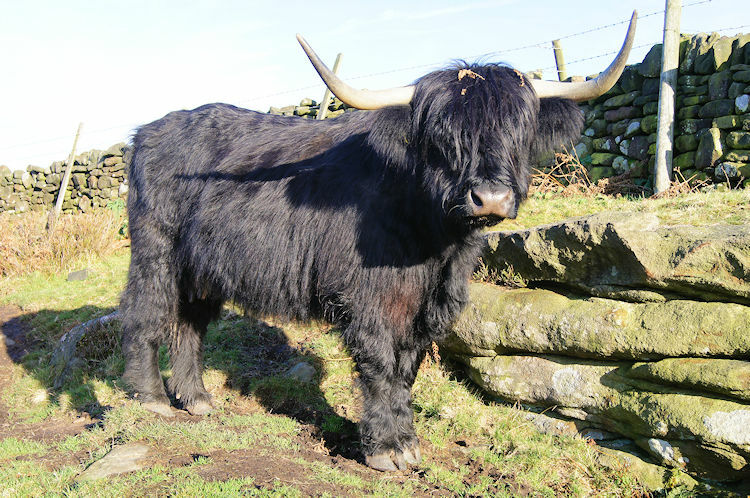 So I walked around on the low side of the path and as I did so the only part of the Highland which moved was it's head as it maintained focus on me until I had safely passed. A few metres after my meeting with the calm juvenile I spotted the rest of the herd sheltered in thick bracken around a small copse of Hawthorn. It was a lovely sight and it seemed that all were enjoying a quiet day in the sunshine just as I was. Soon after passing the herd I came to a gate into a small paddock area. Immediately through the gate I turned right and uphill once more for a very short distance which brought me to Smallfield Lane. I crossed the lane to track across a field to Load Field Road which I also crossed immediately. I was now looking down a walled track leading to Rocher Head. I followed it downhill. As I walked down the lane I looked up to my left. I was nearing Rocher Edge. 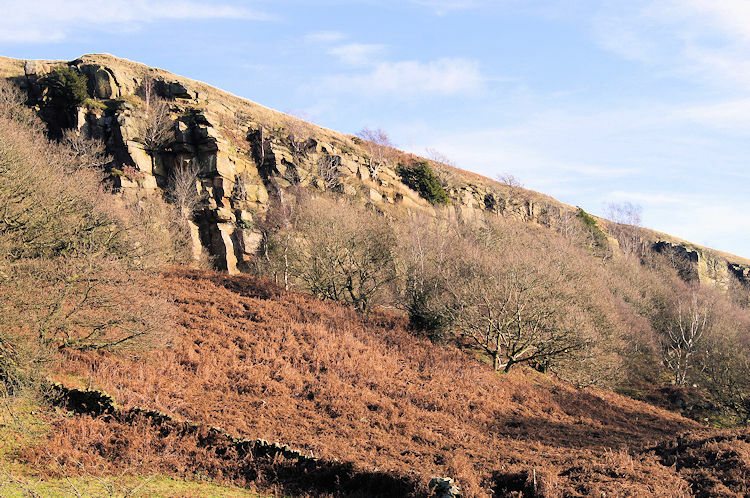 I thought of leaving the lane and climbing up an alternative path heading to Penistone Road from which I could have cut off to cross the top of the gritstone edge but I decided against it. If I had climbed I would have missed looking at all the nuances of Rocher Edge and I wanted to see it all. On the top of the cliff I could have only imagined. 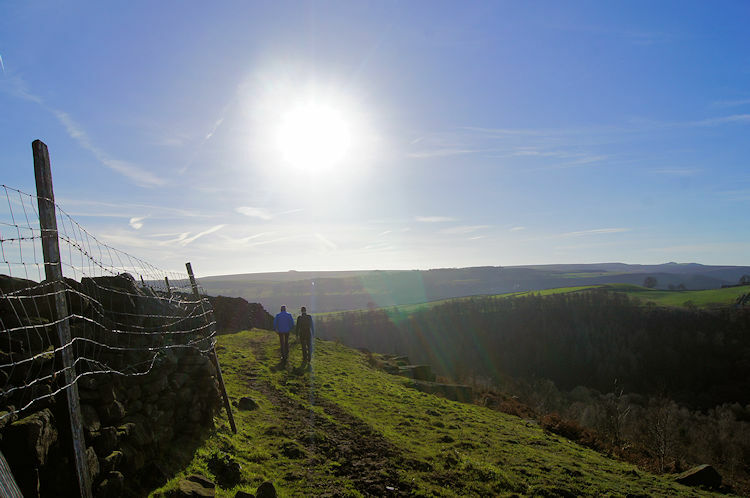 So I continued on the path below Rocher Edge. Soon I came to an abandoned farm with buildings having walls but no roofs and the environs of the farm having a range of rusting farm machinery still standing from where it was abandoned. Views to the west across Agden Reservoir and to the moors were stunning; I imagined how could it have come to be abandoned having such sublime surroundings. It must have been hard to wrench oneself away. 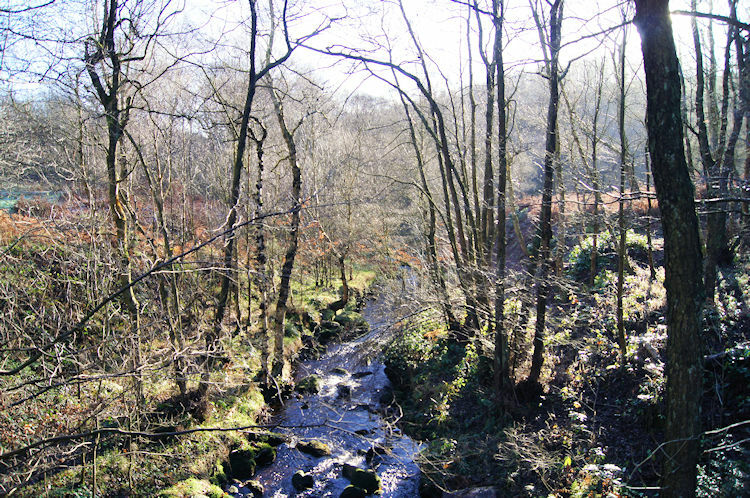 I continued walking from the solemn surrounding of the abandoned farm to Bowsen and then on a roundabout path though a forested plantation and across Rocher End Brook. After passing the pretty site of a small waterfall I climbed to a wood side and began to divert my thoughts to the next highlight of the walk. I am extremely devoted to British History and the thought of exploring the site of a 12th century Norman built Motte and Bailey Fort took over all my thoughts. 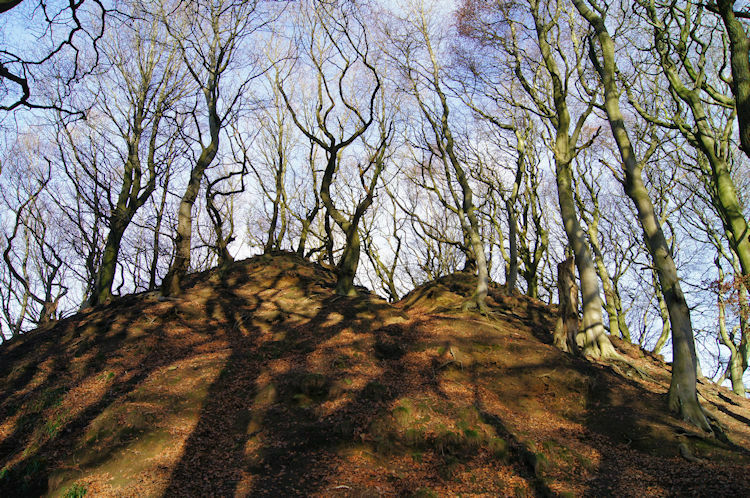 Moreover it is thought the Norman fort stands on an earlier Saxon site. Whatever the origins I had to see it. From the path my approach to the main Bailey fortification was along the long slender Motte earthwork. 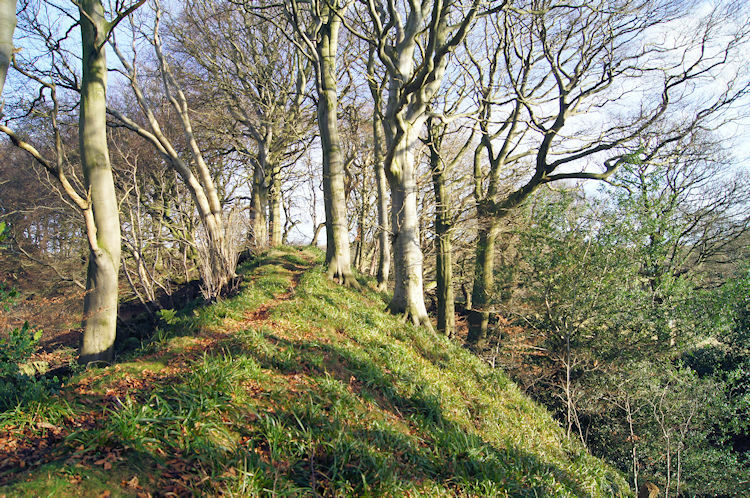 I walked the path along the full length of the Motte, about 100 metres long in total before having to descend steeply to the dry moat around the Bailey before climbing steeply for 10 metres to the top. Now wooded the Bailey would have been a formidable defence in its time. As I stood on top of the Bailey I imagined the drawbridge which would have bridged the moat to the Motte in earlier times. It was an impressive sight and if you do this walk please take time to visit this remarkable ancient site. Having retraced my steps along the Motte back to the path I then crossed a field to enter the grounds of High Bradfield Church. Walking through the cemetery led me to the village which, although small, is very beautiful. The views High Bradfield enjoy of the Agden Valley across Low Bradfield to the high edges of the south-east Peak District are lovely. 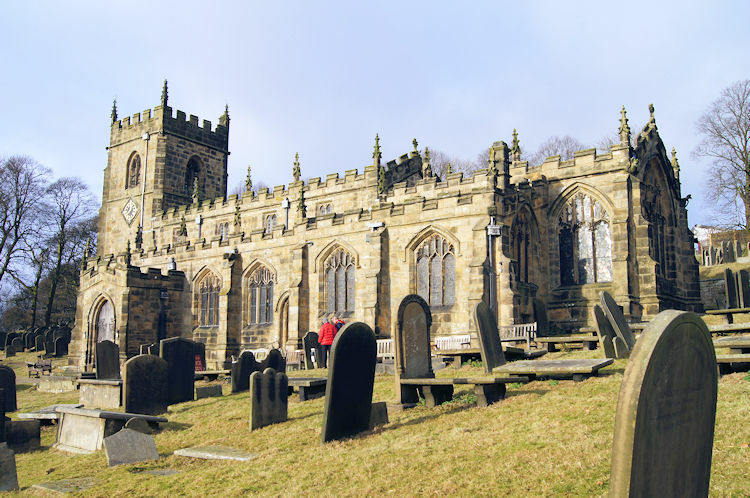 I did not have to walk around the village, my walk would take me through the churchyard and down to Low Bradfield but I just had to take a closer look. I passed the Old Horns Inn, guessing it is a haunt for walkers. I declined a call in as I was going out in the evening. 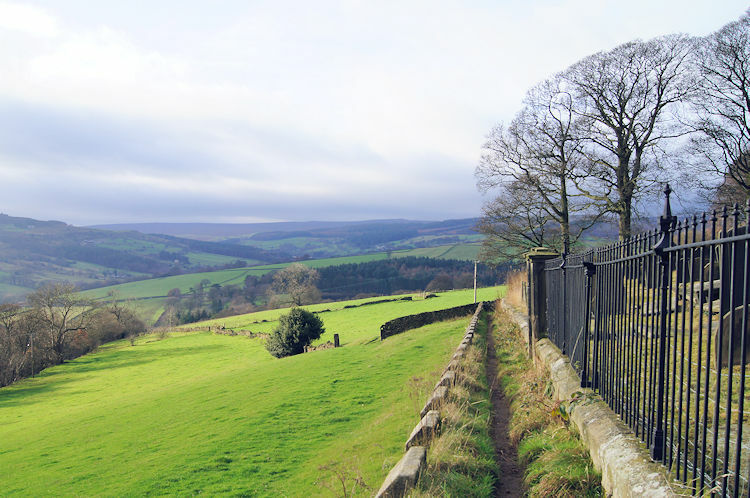 After looking around the village I returned to the path which took me down beside the churchyard to a field which would lead me down a path through more fields running parallel to Woodfield Lane and back to Low Bradfield. I bounded down the fields such as was my mood after the enjoyment of the lovely circular walk. The descent, inviting it itself, was a lovely way to end the walk and I skipped part of my way back. 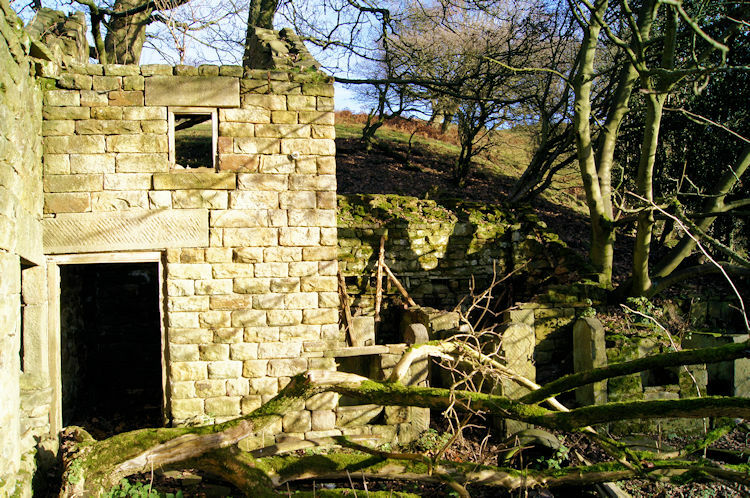 After the fields I followed a lane down to Agden Dike and across a wooded bridge close to the dam of Agden Reservoir. This led me to the north side of the cricket field which I followed around back to the car. When changing from my boots for the drive back I noticed more families enjoying time with the Ducks and Geese. It seemed they never tired of the attention. 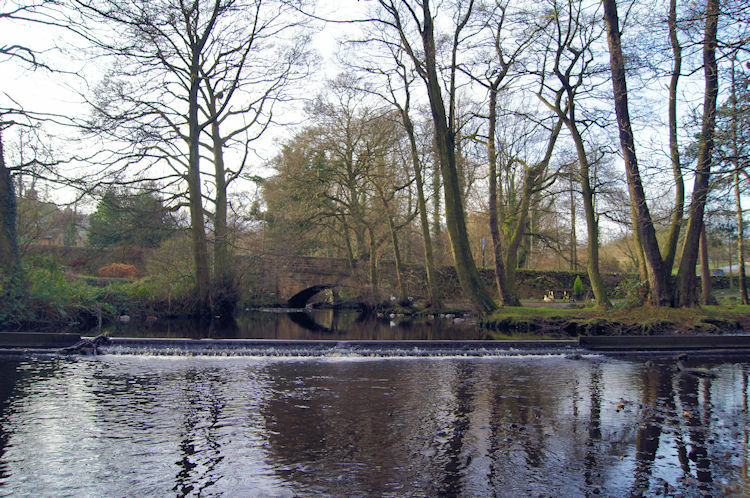 The idyllic scene I was looking at left me with a final positive thought from a walk full of positives. It was absolutely superb, all of it.